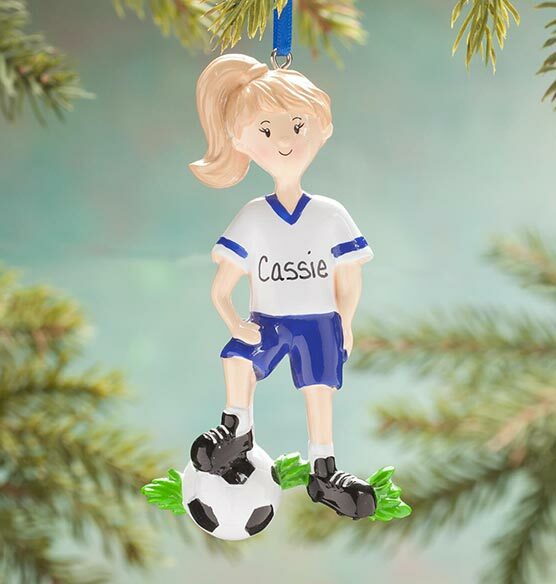 Your star soccer player will love seeing his or her very own Christmas ornament on the tree! 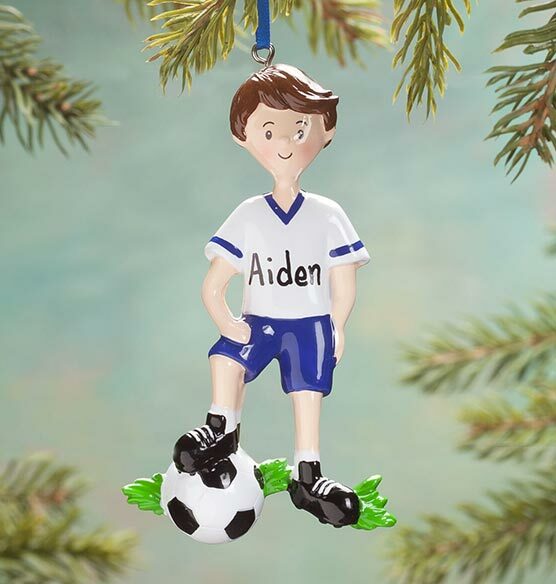 Featuring a boy or girl player who has just trapped the black & white soccer ball, our Personalized Soccer Player Ornament is a fun way to honor your favorite athlete or celebrate a memorable season. We'll add any name at no extra charge—and you'll score extra points on a thoughtful, custom gift. Specify style: boy or girl. Specify name; limit 1 line, 6 letters/spaces. Resin. 2 3/8" wide x 4 1/4" high. soccer player. colors were right.